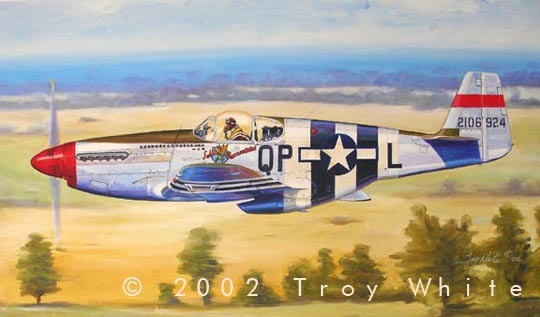 Lt. Ralph Kidd Hofer of 334 Squadron in his P-51B "Salem Representative". 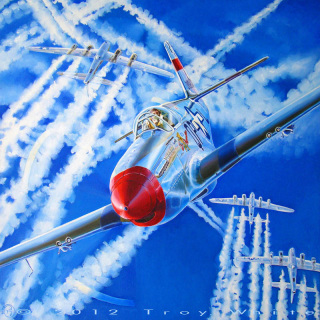 In "Azul Vivo" we see Kidd Hofer in May 1944 diving his Mustang through a formation of B-17s in hot pursuit of pesky Nazi fighters. "Azul Vivo" a fully rotational and part of my Rotational Series - paintings and prints designed to be displayed as a square or diamond in any rotation of the image. 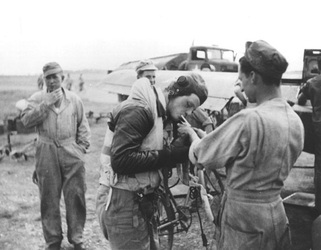 With his long hair and football jersey, "Kidd" Hofer stands out as one of the most memorable characters in the 8th Air Force. 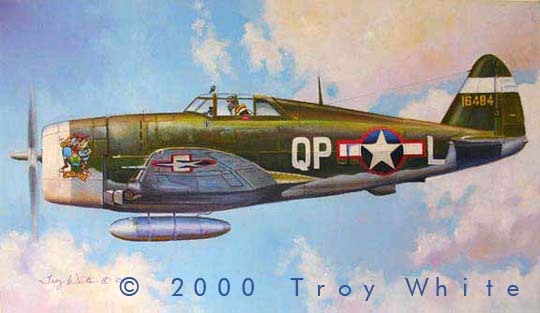 After serving in the RCAF Hofer transferred to the 4th FG in September of 1943 and promptly destroyed an Me 109 on his first mission. 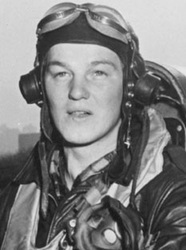 Hofer was known for not maintaining radio discipline incurred the wrath of Col. Don Blakeslee on more than one occasion. 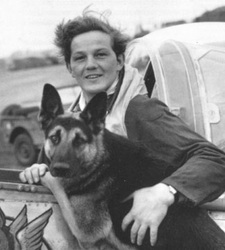 One of his more memorable R/T quotes was "Gee ain't the Alps pretty". The "Kidd" was also one of the top strafers in the 8th AF with 14 confirmed enemy aircraft destroyed on the ground. The escapades of this legendary ace came to an enigmatic end on July 2, 1944. 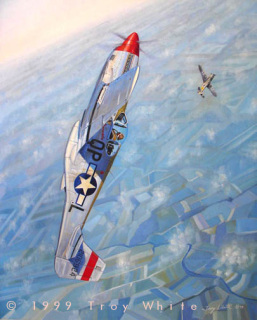 On a mission to Budapest, Hungary, Hofer, flying a borrowed airplane, was last seen as his squadron was being attacked by a superior force Me 109s over Budapest. His body was found in the wreckage of P-51B, QP-X some 500 kilometres away in Mostar, Yugoslavia. 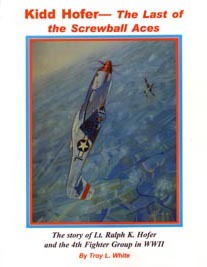 The exact circumstances of his death were not published until 2003 in Troy's book Kidd Hofer--The last of the Screwball Aces. 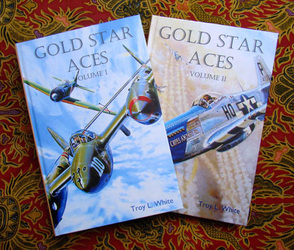 Troy's second book Gold Star Aces Volumes I & II is a series of biographies of one hundred and fourteen WWII aces including Hofer's story. by Troy L. White. The large 8.5"x11" card cover book is 200 pages long and features first hand accounts of the European air war told through combat reports, Squadron and Group records, contemporary interviews and recollections. 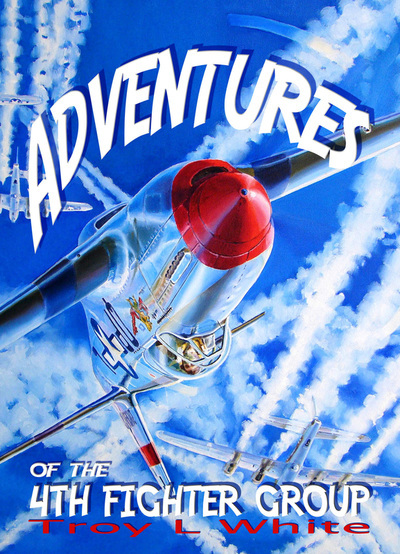 With over 225 photos and illustrations (many published here for the first time) this book is sure to be a welcome addition to the library of any aviation or history buff.Price includes shipping from Australia.